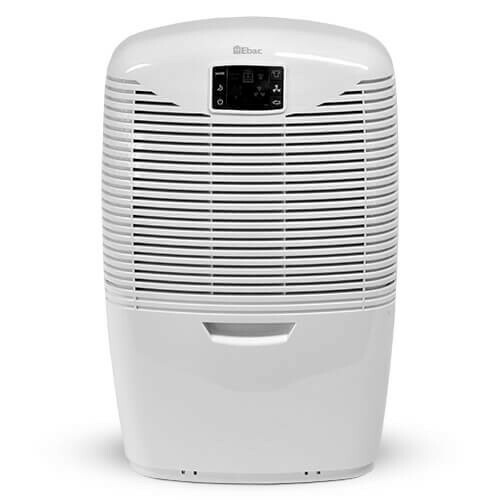 Eliminate condensation, dampness, mould and odours around your home with the Ebac 3850E Dehumidifier. Made in Britain for the British climate, it is Ebac's most powerful dehumidifier. It combines the latest design and technology to ensure efficient 21 litre water extraction and comes fully equipped with exclusive energy saving Smart Technology that automatically operates the dehumidifier for you. It has a dedicated laundry mode that provides a quick and effective method of drying laundry indoors whilst an air purification mode will filter the air in your home creating a clean and healthy environment through air circulation. This unit will also comfortably protect garages, basements and holiday homes (with the addition of a permanent drainage kit).